I was recently challenged to think about a quote that was meaningful to me as a teacher and/or writer (for the Write Now! MOOC). I mulled over many options as I am a bit of collector and love it when people share great quotes with me. However, one idea kept resonating with me and so I chose to share the awesome quote from The Walking Dead above. It is actually a quote I share in my classroom every semester, because I teach a First Year Seminar with a Walking Dead theme and currently use comic themes (heavy on the Walking Dead) to support my composition classes and our service learning projects. 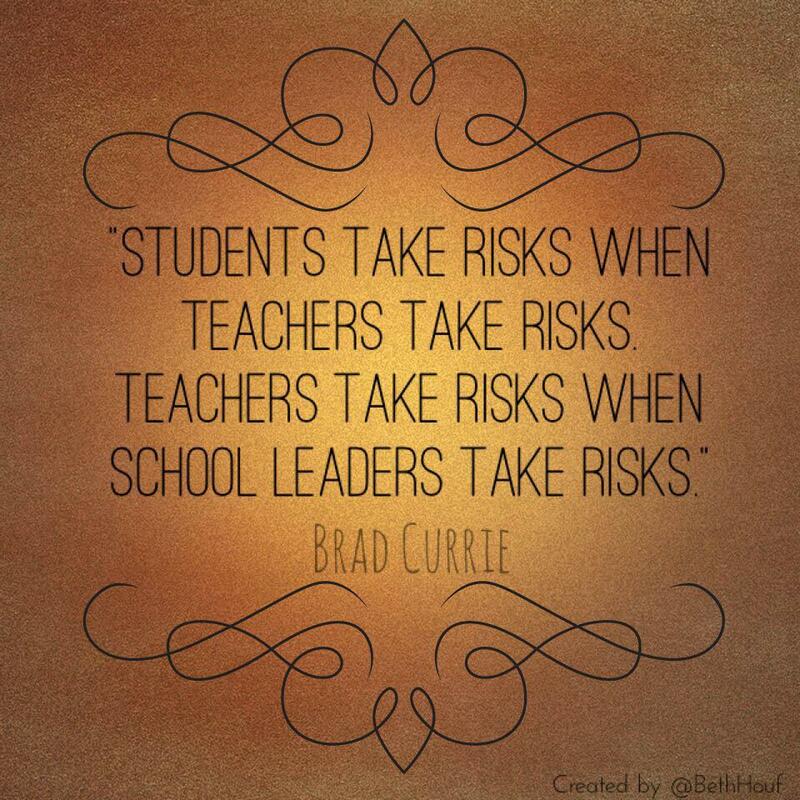 Risk is something we talk about a lot, because I want my students to take risks when they write and create and share. I hope to encourage them to take risks in all the choices they make both in my class and beyond. I always like to challenge my students (and other writers) with my apocalypse now prompt. The prompt challenges writers to think about the ways that their life resembles a zombie apocalypse. This prompt is usually one of the first steps we take to consider the many important life lessons we can learn from comics, but it is also an useful exercise for my first year college students (or new teachers) as they are thrown into a new world with new rules. Some things might seem the same, but so much more is different. Perhaps the risks aren’t quite the same, but the stakes are still pretty high. While no one might actually eat you, there is no guarantee that you will survive – especially if you do not quickly learn the new rules and find a community to help you. This may be the reason why I like this quote. We are already taking risks, both large and small, every time we step outside. 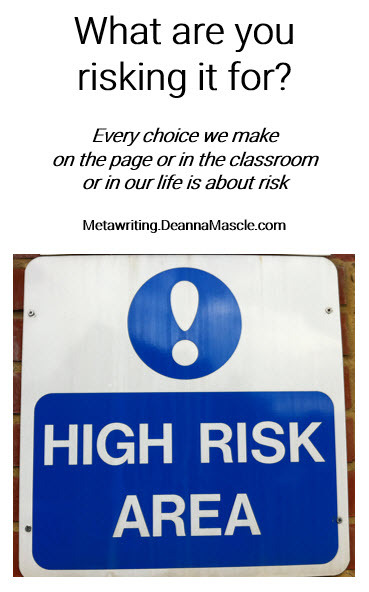 Every choice we make on the page or in the classroom or in our life is about risk. We can choose to play it safe, for fear of failure, but then we risk never growing or moving forward. We risk losing in other ways. Playing it safe may be the greatest risk of all. I push myself to take risks, so I can be better tomorrow – a better writer, a better teacher, a better person. I encourage my students and fellow teachers to take risks, so we can all enjoy a better world. What are you risking it for?